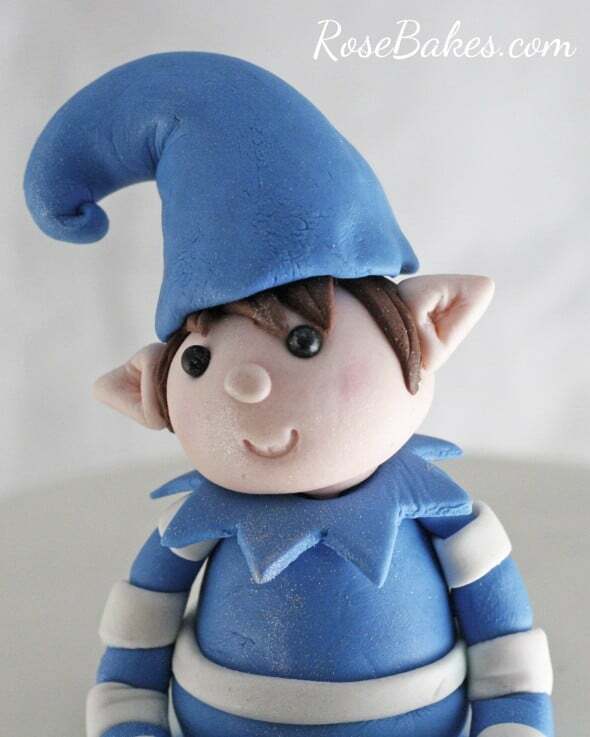 For Jack’s Christmas Elf cake, his mom wanted to do Christmas, but not traditional red and green. She opted instead to do a beautiful theme with blues, white, silver and a even a little green (I wish I had pics of her home to show you – it was beautifully decorated!). For the cake, I stuck with white, a tiny bit of silver luster dust, and shades of blue. But either way, “Jack” the elf (I started calling him that) was just my favorite thing. 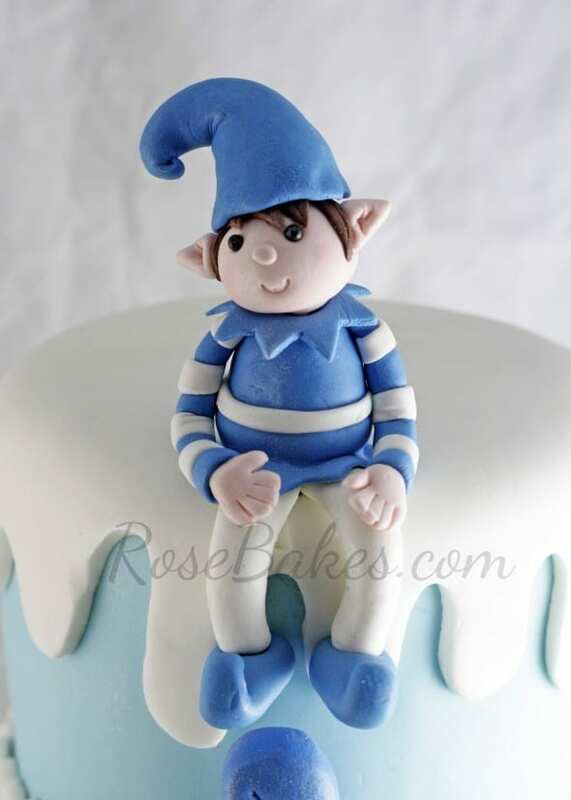 He was made almost completely out of Satin Ice Gum Paste. I used sugar glue to assemble him on a wooden skewer. His eyes were black sugar pearls. It’s hard to see in most of the front-facing pics, but I even did curly little ends on his shoes. And then I dusted him with luster dust for a tiny bit of shimmer! I used silicone pearl molds to make the border and I followed my tutorial for a wavy overlay to do the “snow-capped” look. Each tier had 2 layers of vanilla cake, filled and frosted with vanilla buttercream. They were 6″ and 10″ round cakes. 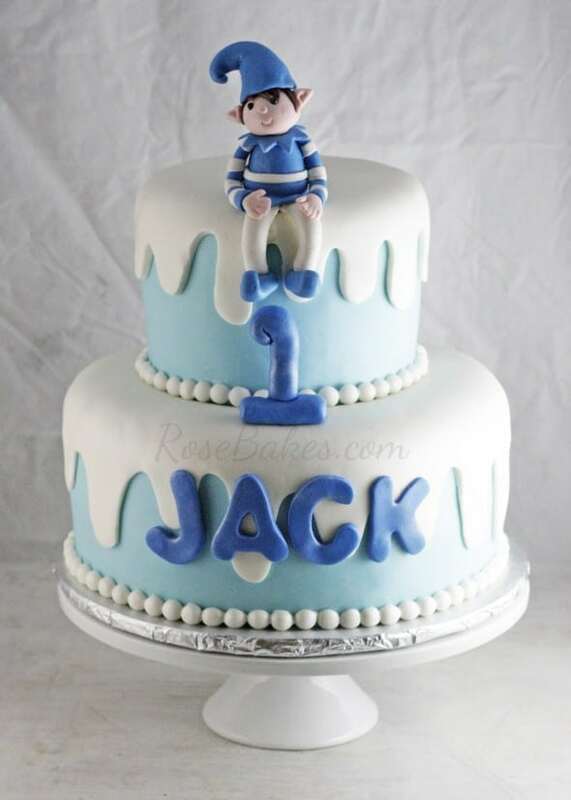 It was covered and completely decorated with homemade marshmallow fondant (except for “Jack”). 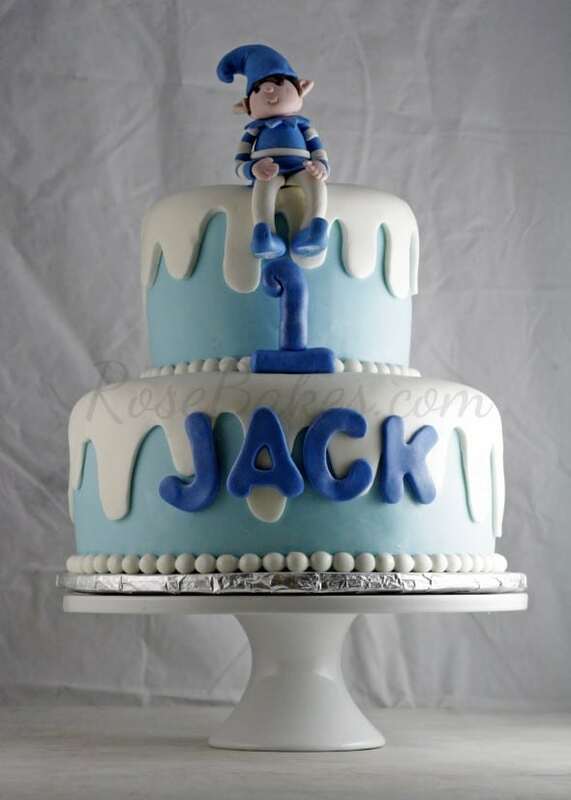 I used letter cutters from the Wilton 50pc ABC & 123 cutters to do Jack’s name. 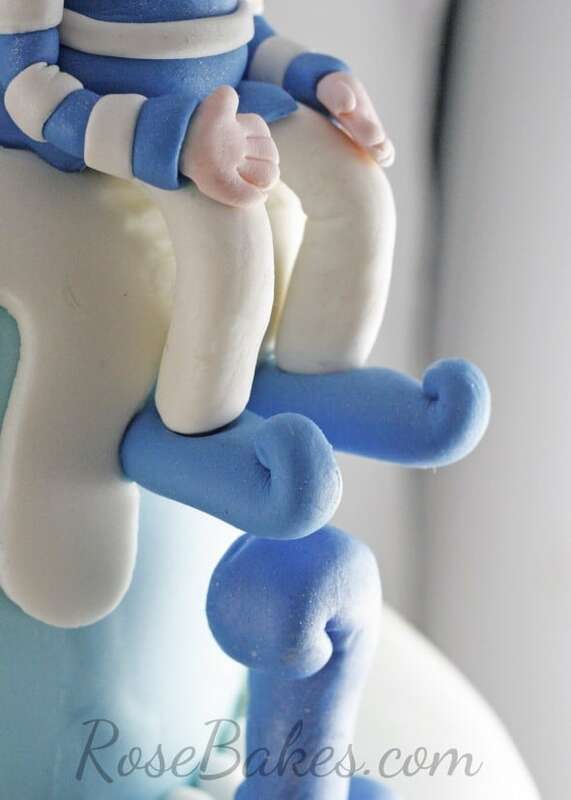 You can also see how I make fondant numbers for cakes here (a tutorial!). And that’s it! Do you have any questions about this cake? Please leave me a comment or question and I’ll answer and help out if I can! Hi Rose! 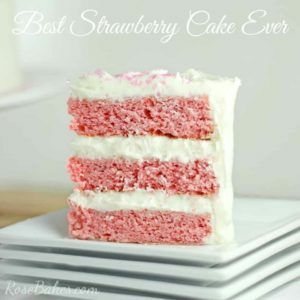 I tried making the marshmallow fondant about 2-3 weeks ago and it was very soft…every time I transferred it onto my rolling pin to the cake, it would tear. I finished up a cake last night and dug into some of that fondant from 2-3 weeks ago and it is still soft. Any pointers? Did I make it wrong?? How is the pliability supposed to be like? Did you get this message?